My guys loved dinosaurs when they were little. They stomped and roared with the best of them. They crawled around the basement with plastic dinosaurs for hours on end. As often as possible, I tried to incorporate dinosaurs in our early learning themes and units. 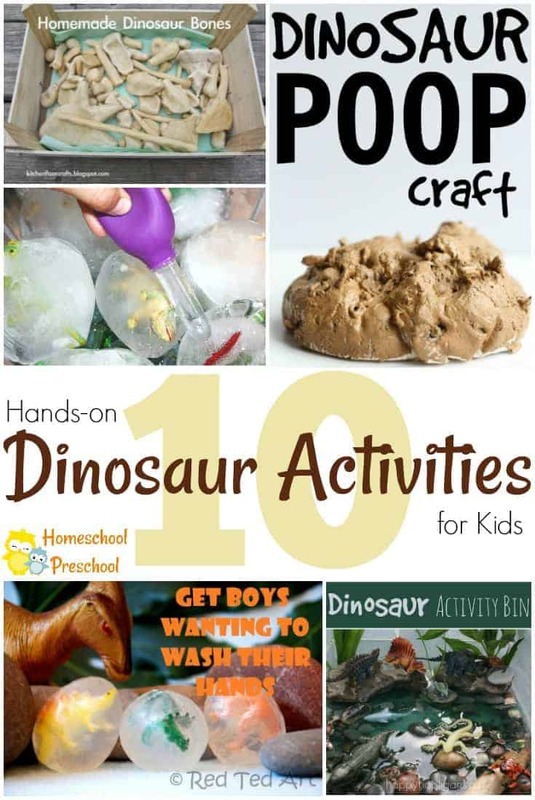 These hands-on dinosaur activities would have been perfect for my guys! I bet yours will love them, too! 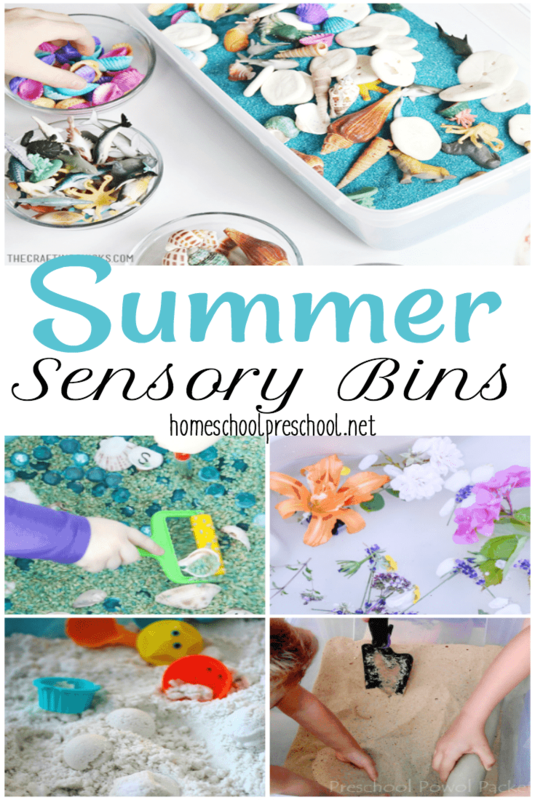 Dinosaur Activity Bin | Sensory bins are great any time of year, and they can be made to fit almost any theme you’re working on in your homeschool preschool. This dinosaur activity bin is great for dinosaur lovers. She’s added rocks and sticks and all the dinosaurs and reptiles she could find. 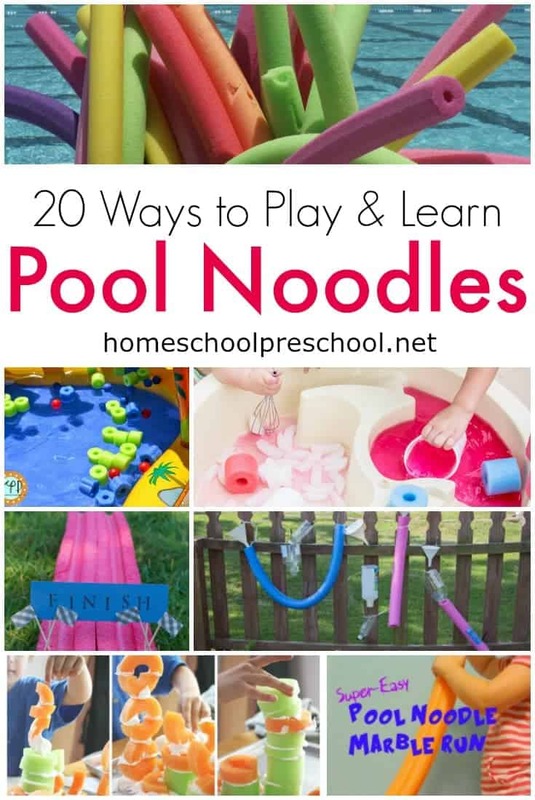 She says this activity is a “combination of a small world, sensory bin, and water play all wrapped up into one fun activity for kids”. Check it out. Frozen Dinosaur Eggs | This frozen dinosaur eggs activity is sure to keep your young ones busy all afternoon long! Combine preschool science with a fun dinosaur activity using plastic dinosaurs and balloons. Kids can work on their fine motor skills as they work with eye droppers to excavate their dinosaurs from the frozen eggs. Homemade Dinosaur Bones | I love this idea! Kids will love shaping homemade salt dough into claws, bones, teeth, and more. Then, they can use the homemade dinosaur bones to recreate their very own dinosaur. Make Dinosaur Soap | Little ones will be begging to wash their hands when you let them help make dinosaur soap! Dinosaur Egg Rice Krispie Treats | Get your kids in the kitchen and let them help you make dinosaur egg Rice Krispie treats. I bet they won’t last more than a day before the eggs are all gobbled up! Dinosaur Volcano Small World | Dinosaur lovers will love this erupting dinosaur volcano! Combine a little science with a lot of dinosaur play with this fun small world activity. Five LEGO Dinosaurs to Build | LEGOs and dinosaurs collide in this hands-on activity. While there aren’t any step-by-step instructions to follow, I hope your kids will be inspired by the pictures of each of these five LEGO dinosaurs. Paper Plate Dinosaur Craft | There are five different paper plate dinosaur craft templates to choose from. Kids will decorate paper plates and then use the templates to create one-of-a-kind dinosaurs. DIY Dinosaur Fossils | Use homemade salt dough or play dough to create DIY dinosaur fossils. Then, kids can bury them and have their own fossil hunt. Dinosaur Poop Craft | Even my not-so-crafty boy would have jumped at the chance to create some dinosaur poop! Then, he would have pranked his sister with it, of course. 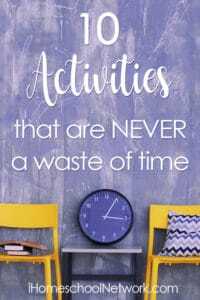 Finding hands-on activities to do with your kids is NEVER a waste of time. 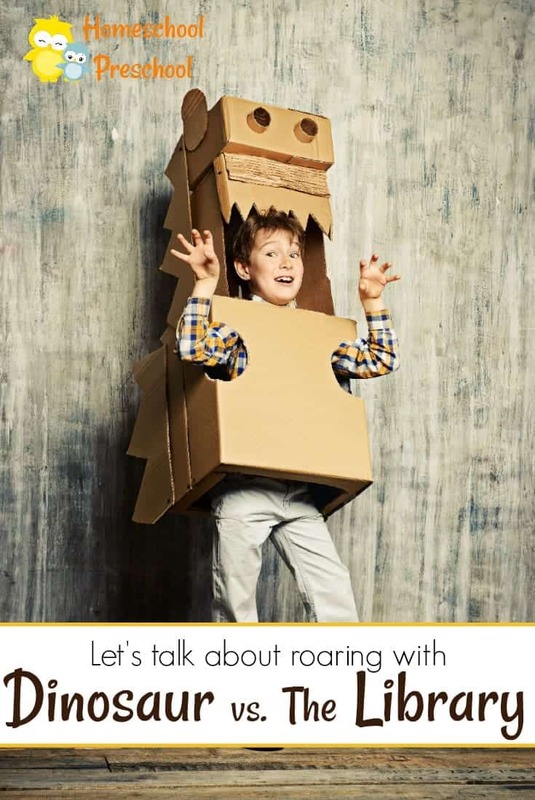 What is your child’s favorite hands-on dinosaur activity?